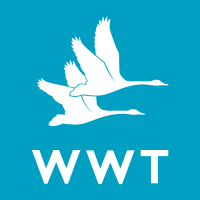 At WWT we believe the best way for people to understand and connect to wetlands is to experience them, so we bring awe-inspiring nature up close and let it do the talking. One of our biggest audiences are our families, and getting children enthused about wetlands at an early age is the best way to ensure they become future nature advocates. As a Family Engagement volunteer you will bring our site to life for family audiences, helping with our programmes of activities during weekends and school holidays. Examples of our holiday programmes include engaging children with pond life in our pond dipping sessions, assisting with Forest School-style Wild Play sessions and special events such as our much-loved Family Night Safaris. Full training and induction will be provided along with opportunities for more detailed training on specific areas of site biodiversity. Variable to match school holidays and on-site events programmes. Shifts are typically 10am – 4pm with 1 hour for lunch, depending on the season. Facilitating family activities such as pond dipping, Forest School-style Wild Play sessions, bird watching, nature walks etc. Helping with special events such as Family Night Safaris. Assisting with managing crowds at Family-orientated events and talks, e.g. Duck Tales feed talk. Enhancing site-wide customer services in busy family areas (e.g. Explore Adventure Playground) by providing informal learning experiences – e.g. using specimens, minibeast hunts, pointing out relevant seasonal wildlife. Supporting staff delivering birthday party activities.